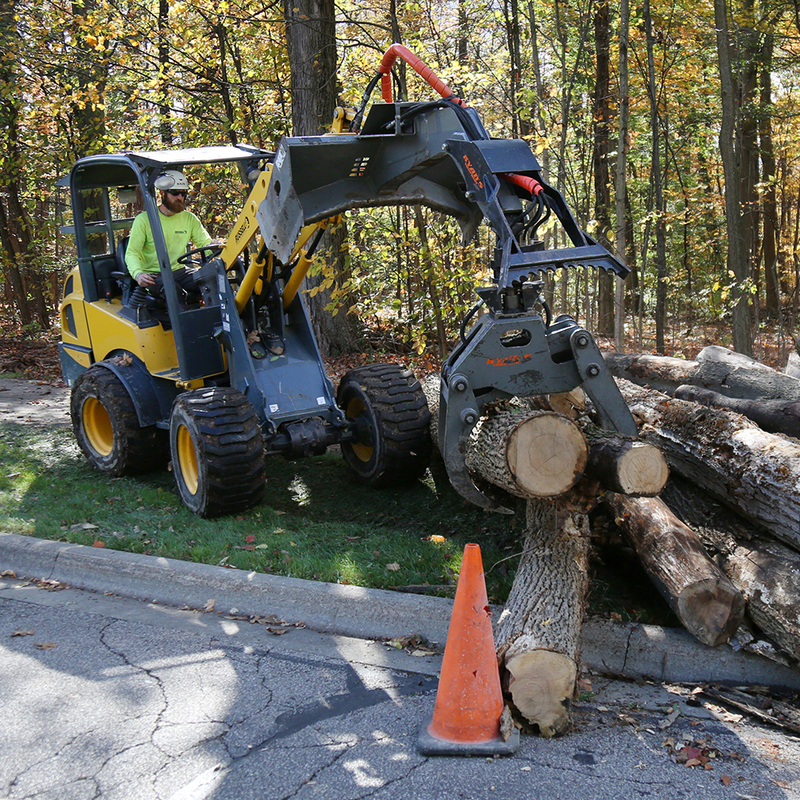 Russell Tree Experts specializes in the removal of trees, shrubs, stumps, etc. from areas near roadways and walkways prior to construction projects. We clear the way quickly, safely, and cost effectively so your construction team can begin the work on time and on budget. 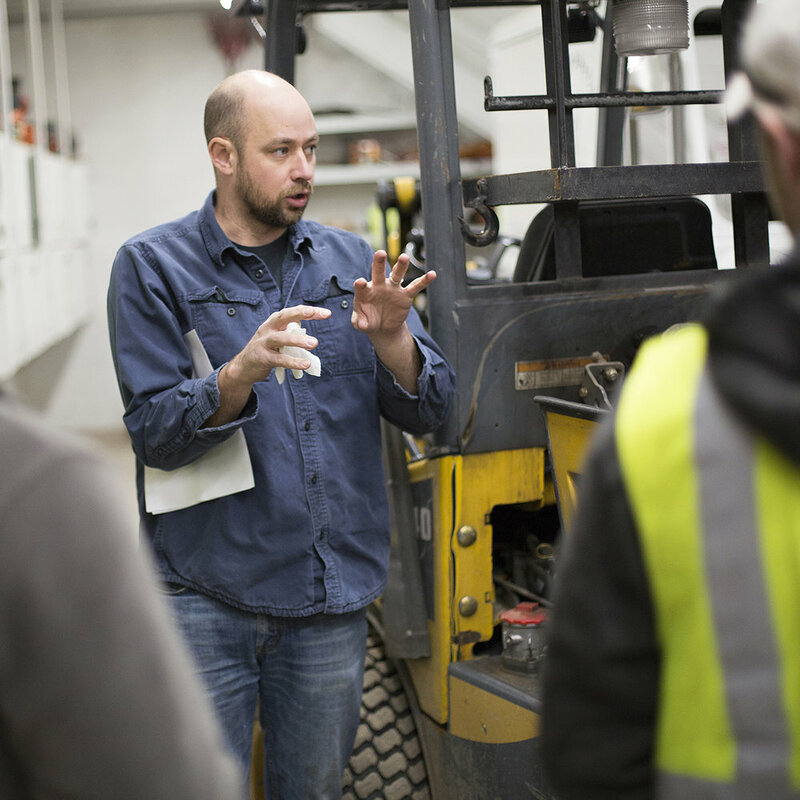 We believe that a key to efficiency is to have state-of-the-art equipment and expert employees who operate them. 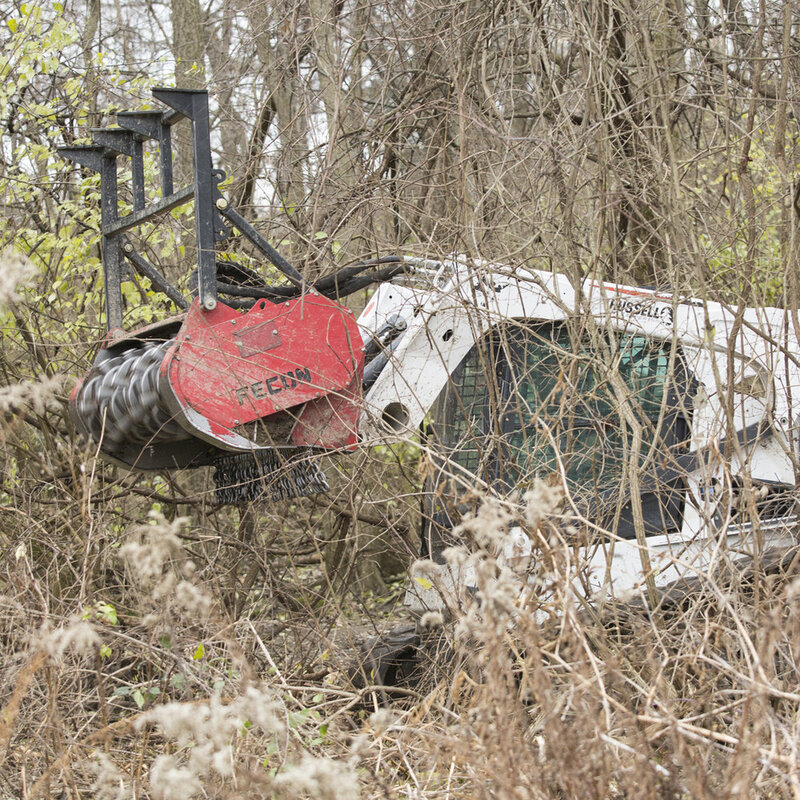 From our forestry mowers to our grapple trucks, we have the perfect equipment to clear trees, brush, shrubs, etc. from any roadside. Our high horsepower track loaders can be equipped with tools from forestry mulchers to hydraulic tree shears to grapple buckets saving labor costs and moving operators into FOPS and ROPS certified operators stations. Used to efficiently move materials to the grapple truck pick-up zones. When trees grow over sensitive pavement and structures, our company owned cranes and on staff licensed operators can rig and lift trees up and over obstacles, protecting the valuable property beneath. 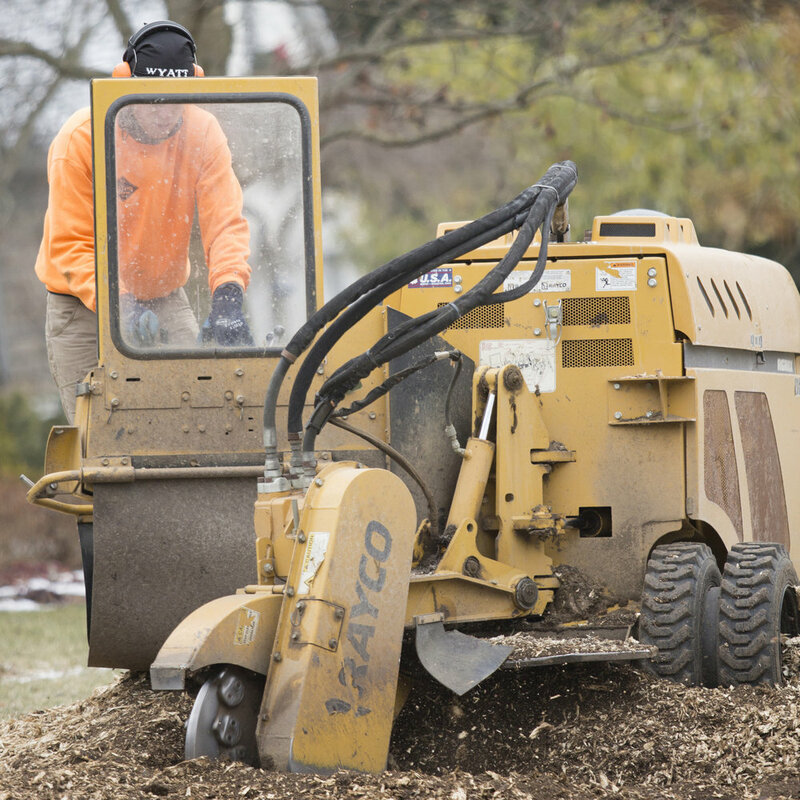 Used to efficiently remove even the largest of stumps. At Russell Tree Experts, safety is KING. 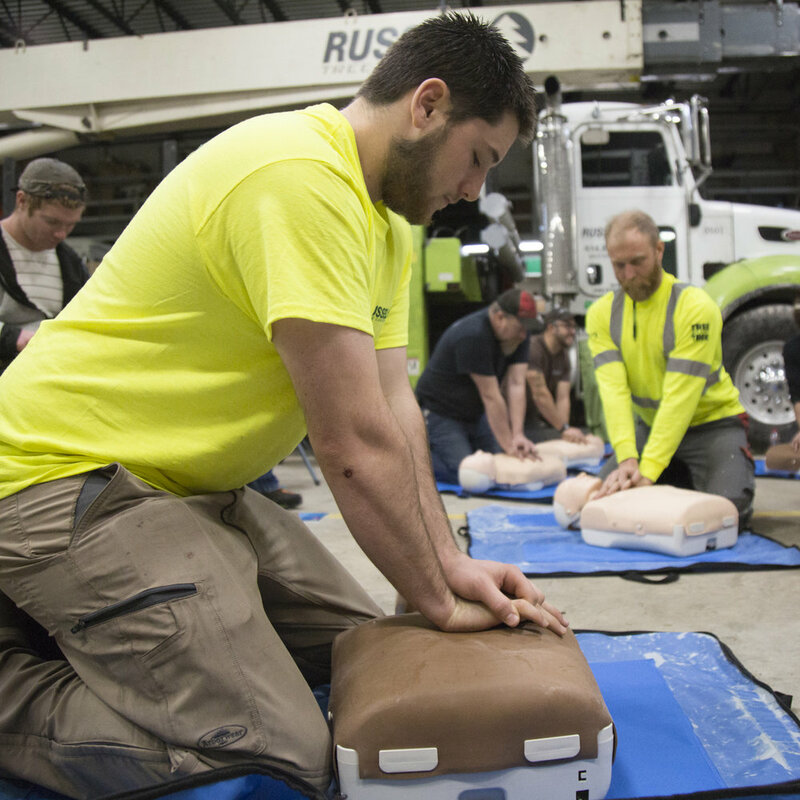 We follow all proper safety procedures to ensure all workers and the public are safe on and near the worksite. Through our dedication to Safety, Education, Teamwork, and the Environment our mission is to provide the best tree care & arboriculture resources in Central Ohio. Since 2005, Russell Tree Experts has been a Central Ohio leader in the tree service industry. Russell Tree Experts staff meets weekly to conduct mandatory training sessions and also utilizes a customized website for employees to continue to advance theirs skills. We employee full time mechanics in house who have decades of experience. This ensures maximum uptime of our equipment and on time completion of your project. Does your job require your subcontractors to pay via prevailing wages? No problem here. We're well experienced in managing payroll in this manor. Full-time qualified operators and arborists on staff, not contracted in. Full-time mechanics with dedicated service trucks for maximum up time, ensures on time project completion. Full-time office staff experienced with prevailing wage and all compliance issues.